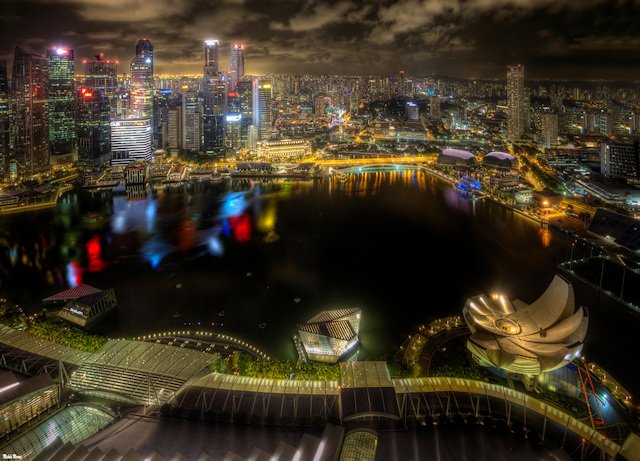 This is the amazing view from the Ku De Ta Club, at the 57th floor of Marina Bay Sands, Singapore. Trying to find the best location they often break the law, accessing forbidden zones and leaning over edges to shoot downwards-angled views. Ethical Rooftoppers wants to take low aerial views of cities respecting the law and avoiding dangerous situations. They rent rooms with view and find the best public places where taking pics is allowed; where taking pics is not allowed, they try to request the necessary authorization. Being a ethical rooftopper, whenever I'm in a new city I try to find elevated points of view to get cityscapes and low aerial views of the area.